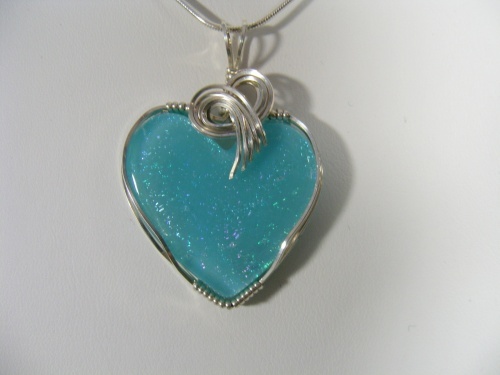 This sweet handmade dichroic class pendant is so pretty with it deep turquoise color and with sparkles popping through it make it even more dramatic. Sculpted in sterling silver -Piece is truly one of a kind. Comes with a sterling silver snake chain.